Reliance Jio provides low-cost access to data and has brought millions of people in India online. Imagine living on less than $2 a day. All the technological innovation in the world wouldn't matter much, if you didn’t have the means to support yourself with a steady job, have regular meals, or a roof over your head. That’s the reality for nearly 10% of the world’s population, people who struggle for basic needs on a daily basis. For those of us who lead businesses around the world, such a reality is likely far from our daily thoughts. We are focused on delivering innovation to our customers, driving value to our shareholders, and growing our businesses. Our efforts have been paying off – global economic growth in 2017 approached 3%, the highest rate since 2011. But what if we did alter our focus? What if we did think more broadly about what we could do to help those in need around the world, to be even more inclusive and sustainable, and truly make a difference? The impact could be huge. Studies show that inclusive growth can not only extend opportunity to those who need it, but it can also improve economic and political stability. As business leaders, we must take responsibility to help those who are being left behind. There is no question that we must always be deeply focused on driving growth for our own businesses. But in this post-globalization era, we also bear an obligation to address how to make growth inclusive, extending it to those who most need opportunities to improve their lives, educate their children, access healthcare, and benefit from the digital economy. To build opportunities for all to thrive – regardless of gender, background or location – businesses must play an increasingly important role. Doing so relies on many factors, but perhaps one of the most important – and most impactful – is close partnership between the public and private sectors. Bringing governments and the private sector to work closely together has the ability not only to provide opportunity to those who need it, but to truly deliver results. Consider the issue of homelessness – many city and state governments across the United States spend to support those who cannot afford housing, yet the issue continues to grow and impact more people. In fact, about 553,000 people across the US were homeless on a single night in January 2018 – and the state of California proposes to spend $700 million to address homelessness next year. Positively impacting such a complex issue requires not only making funds available, but making them effective, by working with the right partners. Cisco has worked closely with Destination: Home, a San Jose-based public-private partnership which has demonstrated that providing permanent housing to chronically homeless people gives them the stability they need to change the trajectory of their lives. Our investments enable Destination: Home to buy land and build additional housing, design plans to pioneer technology solutions around homelessness, enhance data sharing capabilities, and test promising social service intervention models. Funding is also being used to complement the public funds made available through Santa Clara County’s Measure A, which earmarked public funding specifically for the development of supportive housing for the homeless. That will enable Destination: Home to build more supportive housing units, faster. Taking a hands-on approach such as this is one of the best ways to fully support public-private partnerships for the most effective results. Working with non-profit organizations that are directly involved in addressing those in need can also be incredibly effective. Many organizations with expertise in addressing critical needs have a need for the resources and the funding that business can step in to provide. Support for nonprofits helps them streamline and automate processes for efficiency, drive cost savings and productivity, and scale to reach particularly vulnerable people who have not yet benefitted from the digital economy. One example of this is Living Goods, a non-profit social enterprise, which empowers a network of women, known as Community Health Promoters, or CHPs, to improve the health of families in their communities by providing health education and distributing essential products like fortified foods, solar lights, and medicines, all enabled by technology. CHPs focus on areas that precipitate the majority of child deaths but can be addressed at a low cost: complications from malaria, diarrhoea, and pneumonia. CHPs earn a living from the products they sell, thus providing an important source of income to better meet their families’ needs. Cisco provided support to Living Goods to develop a mobile-enabled technology platform which today is used in every aspect of their business. Through the platform and apps, CHPs are able to apply standardized assessment frameworks to diagnose illnesses, provide uniform treatment protocols, and follow up directly with families on the treatment. Living Goods uses the platform to track inventory, monitor performance of CHPs, and track health outcomes. They are also leveraging digitization of data to develop predictive algorithms to identify households at risk for negative health outcomes, and target interventions to improve health outcomes. Last year, Living Goods reached 6 million people in Uganda and Kenya, and a randomized control trial found that Living Goods is reducing child mortality by 27%. Their goal is to reach 25 million people in four countries by 2021. With impact and reach like that, it is clear that direct investment can make a profound difference. 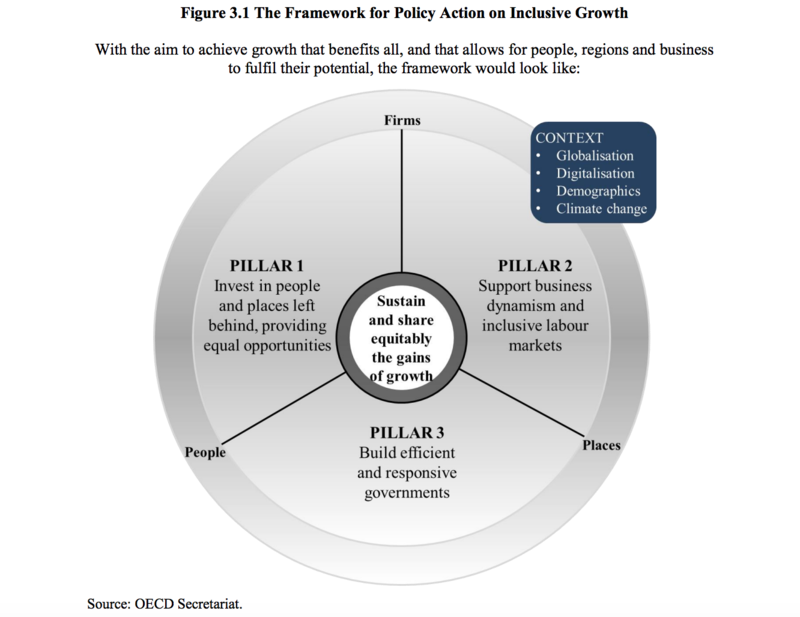 Designing a business model to drive inclusive growth can also create real impact. In India, Reliance Jio, the world’s largest IP network, which is based on Cisco technology, provides low-cost access to data, and has brought millions of people in India online. Within six months of Jio’s launch, India became the highest mobile data user in the world, consuming over 1 billion GB of data. The low cost of data in turn yielded $10 billion, the yearly savings of India’s entire economy. Those with Internet access now can think bigger and develop businesses in healthcare, financial services, and other areas. As an example, myUpchar, a healthcare startup has taken advantage of the growth Jio has driven, and allows users to access health and wellness information in local languages and connects users with doctors for virtual consultations. By bringing over 215 million subscribers online, Reliance has effectively driven economic growth by creating new customers for services – customers that are eager to be online, and that once might have been viewed as out of reach. As business leaders, we have a real opportunity ahead of us. Millions across the world want to engage, get involved, and participate in the digital economy – they just have to be given a chance. At Cisco we have set a goal to positively impact 1 billion people by 2025 – and we are well on our way to reaching that milestone. By expanding our focus beyond our own balance sheets and thinking more broadly about how growth can be extended, we can help create an environment that is even more conducive to business growth and enhanced consumer purchasing power. Those are goals I think we all believe in – and I invite other business leaders to join me in looking at how we can build opportunities for everyone around the world.